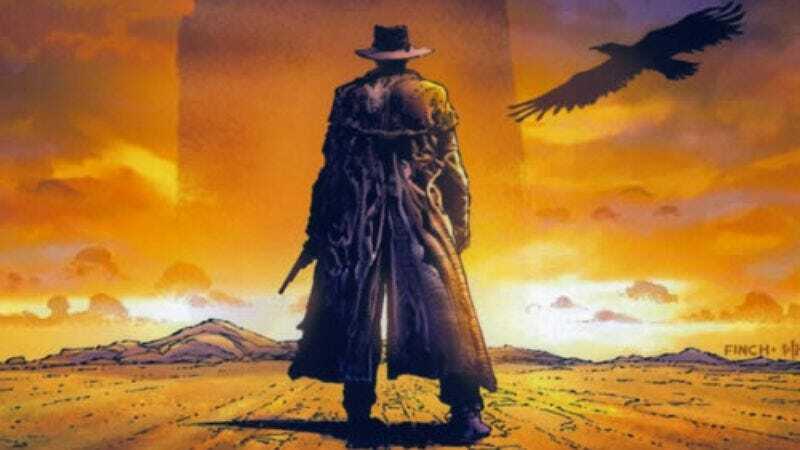 Following up on those earlier reports that Universal may be looking to back out of producing The Dark Tower, Deadline says a final decision on that has been put off until at least this July, when the studio must either greenlight the project or allow the rights to revert back to Stephen King. In the meantime, screenwriter Akiva Goldsman is reportedly hacking away at the script in a hackier way than usual, aiming at reducing its overall budget to something more manageable. With the start date pushed to next February at the earliest, what this means for Javier Bardem’s involvement remains to be seen, as with those initial plans to spread the franchise out over three films and two TV series remains to be seen—although whittling that ambitious scope down considerably seems like a logical starting point.